School transportation departments nationwide take different approaches to combat the various weather conditions in their regions. In November, Winter Storm Bruce brought cancelled flights and almost a foot of snow to the Midwest. However, several states have seen severe weather this past month. That is causing schools to cancel classes, field trips and update their routes, to adhere to the driving conditions. California saw a downpour of rain last week, causing flooding in various cities. Malibu Unified School District closed Jan. 15 and 16 as a precaution against mudslides and debris flow made worse by recent fires. However, that is not the only district succumbing to Mother Nature this winter. Durango School District in Colorado had a snow day last week, Jan. 16, and Watauga Schools in North Carolina was hit with a sudden change in forecast. Watauga Schools Transportation Director Jeff Lyons said the school district dismissed early on Wednesday last week because the weather forecast was for rain and snow. While the forecast didn’t turn out the way Lyons was expecting, the transportation department was able to adapt to the weather and make adjustments as needed. The transportation personnel started contacting parents right away to make arrangements and altered routes on the spot, Lyons said. “All the children got home and were taken home safely and that’s our goal,” Lyons added. Usually with anticipated bad weather, the school district will change its transportation routes. Lyons said they run a normal route, as well as Limited Route A and Limited Route B, depending on the severity of the storm and the road conditions. The routes are given to parents at the start of each school year, and parents are notified of the route change by phone call, social media and website updates. San Bernardino School District in Southern California also had to cancel its field trip into the mountains last week, due to snow. Eric Vetere, the district’s safety and emergency manager, said everyday routes are seeing minimal impact due to weather. This past week, however, the district was on the look-out for field trips up into the mountains. While all of their buses are equipped with snow chains, Vetere said that the district must also consider the activities the children are doing while they are out. Many school districts are allocated so many days per year for weather cancellations. 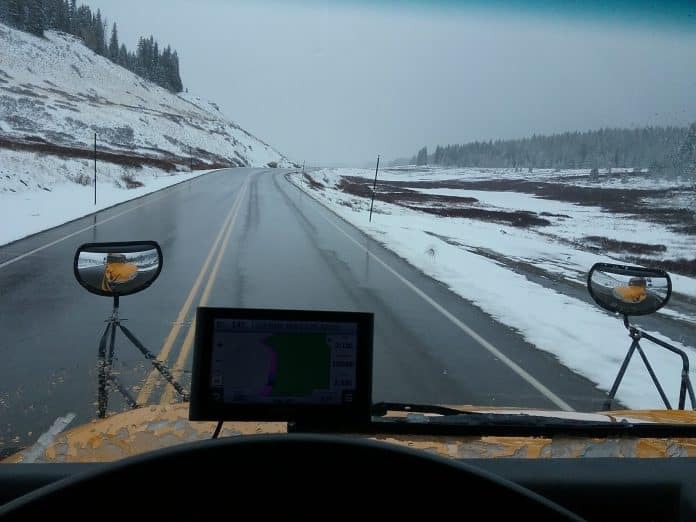 Stephen Lee, a school bus driver for six years at the Durango School District in Colorado, said the first snow day of the school year was called on Wednesday of last week. Usually it is up to the local school districts to decide on snow days, but last week an official for the county called it, because the storm had approached too fast. Lee said Durango bus drivers are used to driving in inclement-weather conditions, since that county has not only snow-covered routes, but also mountainous roads. State transportation directors often leave it up to the individual school districts to decide their own training and procedures for winter weather driving conditions. Many school districts train their drivers at the start of each school year and also ensure they only hire local drivers who are used to the terrain and weather. “Montana is experiencing a very mild winter so far, but our local school districts are used to harsh winters. There are policies in place at the local level to ensure safe and consistent transportation of students during poor winter conditions,” stressed Dylan Klapmeier, director of communications and federal relations for the Montana Office of Public Instruction. New bus drivers for Durango Public Schools and across Colorado are required to watch two videos, one on mountainous driving and the other on driving in adverse weather. The transportation directors in Watauga Public Schools, meanwhile, meet with their drivers at the start of each school year to give a refresher course on installing snow chains. The Department of Motor Vehicles in North Carolina also provides driver trainings and instructions on how to drive in bad weather. However, not only do the drivers have to be prepared for the weather conditions, the buses must also be specially equipped. Lee said buses in his area have heated steps to help melt the snow and avoid icy surfaces that could cause children to slip. While bus drivers may be equipped and trained to drive in weather conditions, there are always unforeseen circumstances. Data that School Transportation News is collecting from news reports across the nation found at least 27 instances of weather-related crashes since the start of the school year in August. Editor’s Note: Does your district have specific trainings set in place for weather driving? 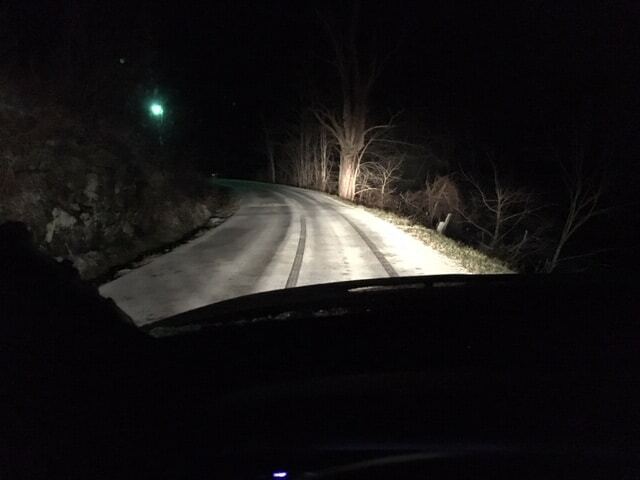 How do you keep your students safe every day, given the changing forecast and road conditions? We want to hear from you. Email taylor@stnoline.com to submit your winter weather feedback. Related: Baron Debuts Real-Time Weather Monitoring for Transportation Dept.